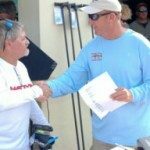 In a past article, I discussed modifications to “Damaged Lures” to extend the useful life of a soft plastic bait. 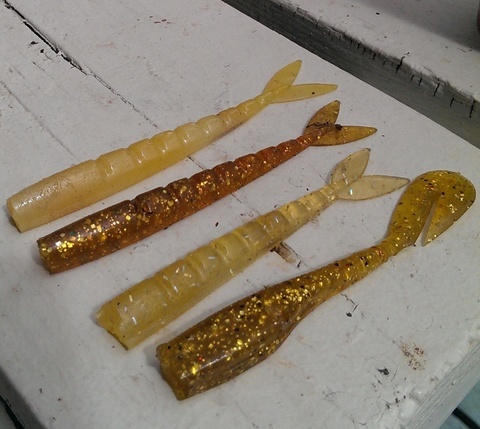 Plastic baits are cheap but can be annoying to have to change out a lure early in its use. My lure sponsor may not want to hear it. All of you may also be thinking “cheapskate!” I won’t discount the merits of that accusation as a guy who turned a profit at the high school prom. Over the years, there have been a lot of things I have discovered that I wish I knew a great deal earlier. The 12 Fathom SlamR is a perfect example of a bait that people may discard when there is still much useful life left in the component. A species like flounder loves to pounce on the SlamR. With such rigid, tough mouths, this is a species that commonly compromise the plastic at the collar of the jighead. What do I mean by compromise? The plastic tail is damaged to the extent where it will no longer lock onto the collar of the jighead. Take it off and throw it away? That is something I did for years. The remainder of the lure still intact, it is a waste of a lure that can still be utilized. The Weedless cavity in the SlamR begins about ¾ of one inch from the “nose” of the bait. 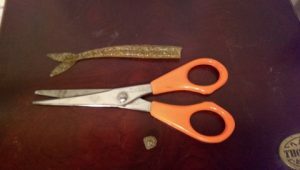 In situations where the plastic has been damaged at the collar of the jighead, the opportunity that exists: Take your scissors and trim off the damaged portion of the plastic before the groove of the bait. Reinsert the jighead and the Five Inch SlamR is now a 4.5-inch SlamR. Elevated success that you may have with this rescued lure would probably be because of one very specific reason: The hook is now closer to the tail. Probabilities, a shorter bait with a hook that is now somewhat closer to the tail, this allows the fish to get the hook in their mouths easier. Even by just half-an-inch? 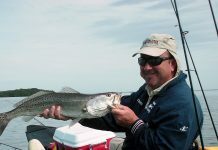 Yes, particularly for short-striking fish like speckled trout and flounder. Destroyed all the way to the groove? This lure can be trimmed own and used on a non-collared jighead such as a Weedless screw-lock jighead like The Edje. It is going to be tough to get the collar of a standard jighead to fit into the plastic if there is not a wide enough area of plastic at the location of the trimming. This is something to think about when you are considering throwing out the bait. It may be a case where you save it for later but if you have the desire to get more use out of a damaged bait, this is another idea for you to consider. Try this also for the 12 Fathom Buzz Tail Shad. The configuration of that groove is very similar to the SlamR and this bait also can be modified and used longer.